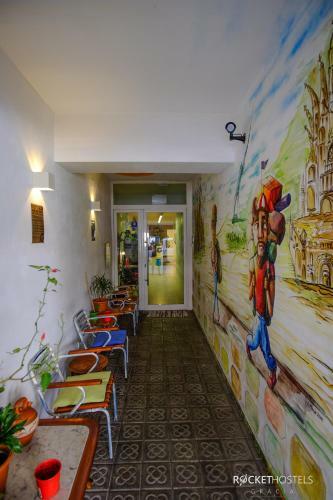 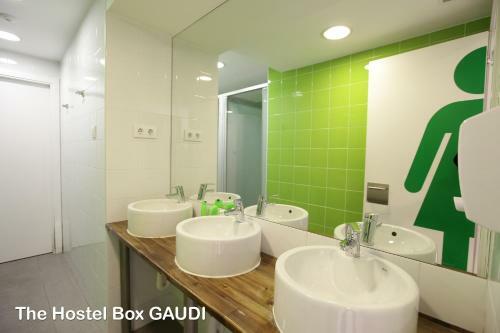 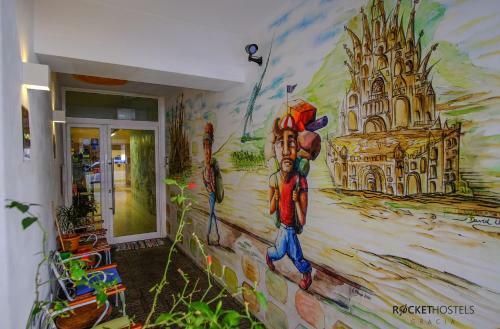 Just 5 minutes’ walk from Gaudí’s Parc Güell, Rocket Hostels Gracia offers dorms with free Wi-Fi. 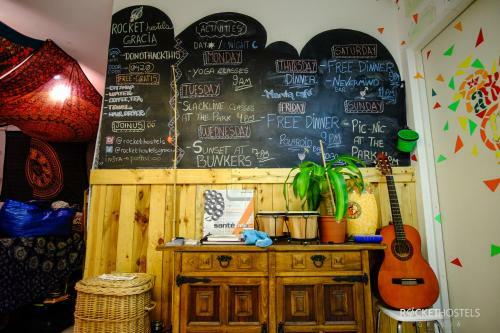 It features a café, a 24-hour reception and a communal kitchen. 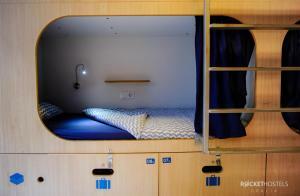 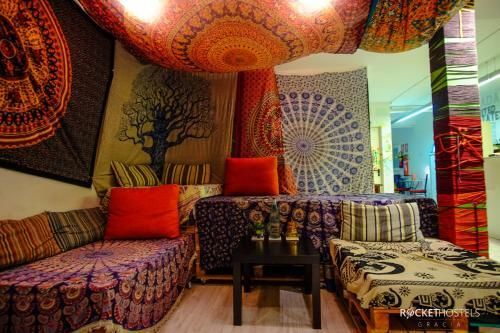 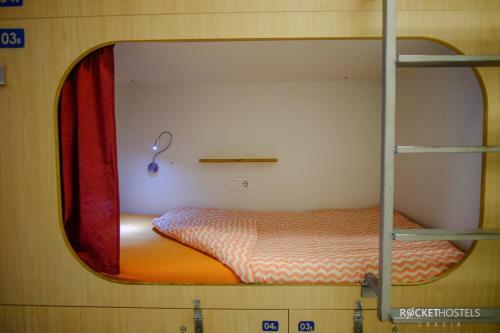 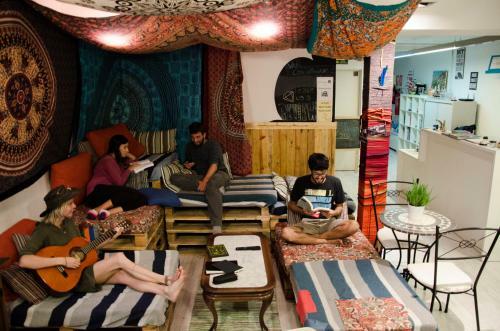 The simply decorated dorms at Rocket Hostels Gracia have wooden floors and bunk beds. 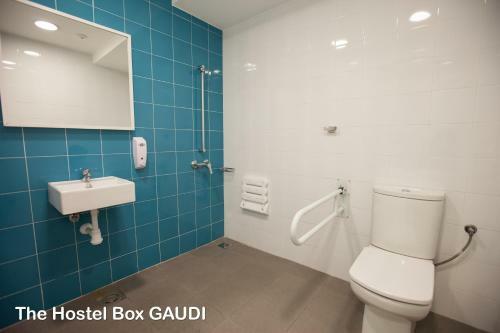 There is access to a shared bathroom. Sheets are included in the rate and you can rent towels at reception. 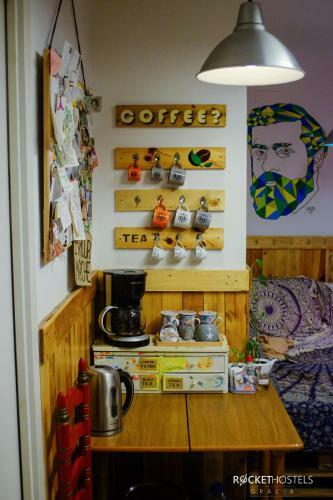 You can relax in the shared lounge area, where there is a sofa, a TV and a DVD player, as well as a dining area. 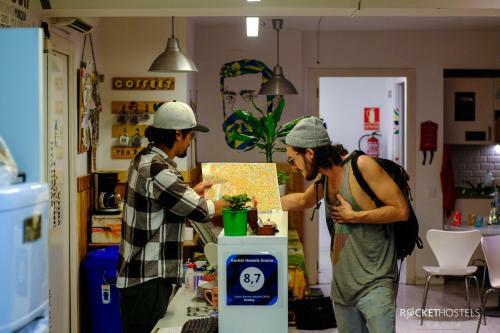 The hostel is less than 15 minutes’ walk from Vallcarca Metro Station, which is just 5 stops from Plaza de Catalunya and Las Ramblas. 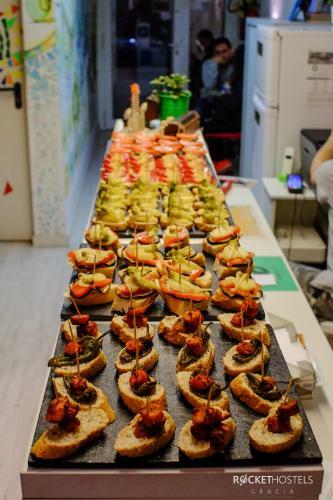 The charming Gràcia district is a 20-minute walk away, and here you will find squares with cafés, bars and restaurants. 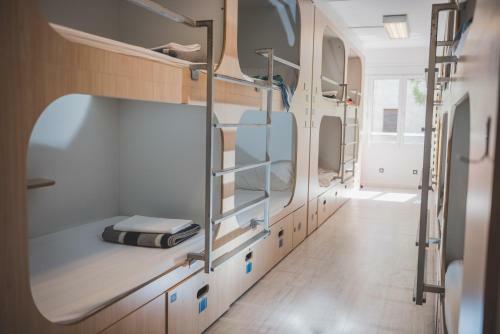 Children between 13 and 17 years old must be accompanied by a legal guardian. 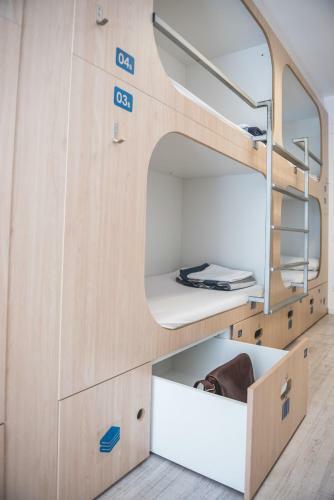 This comfortable, air-conditioned and heated dormitory features bunk beds and personal lockers. 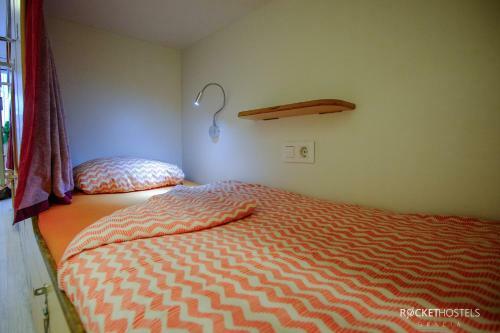 It has individual power sockets and reading lamps for each bed. Sheets are provided and towels can be rented. 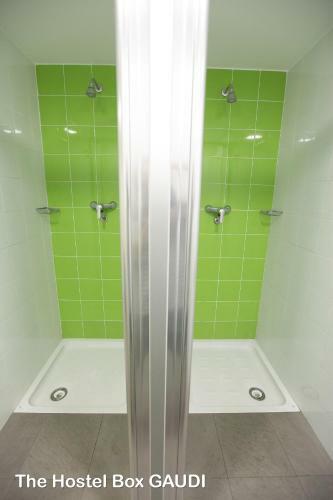 There is a shared en suite bathroom. 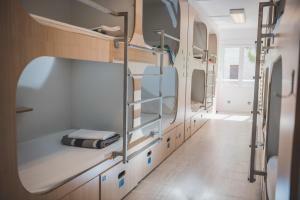 This comfortable, air-conditioned and heated dormitory features bunk beds and personal lockers. 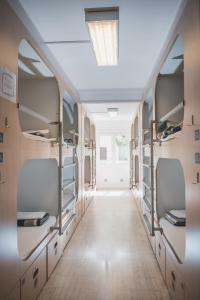 It has individual power sockets and reading lamps for each bed. Sheets are provided and towels can be rented. 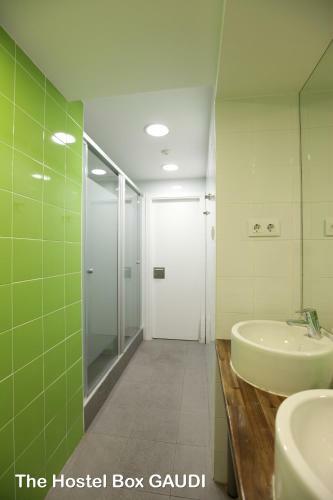 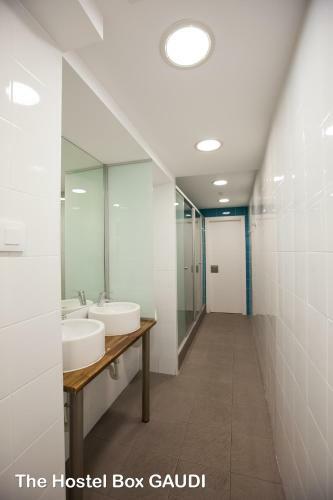 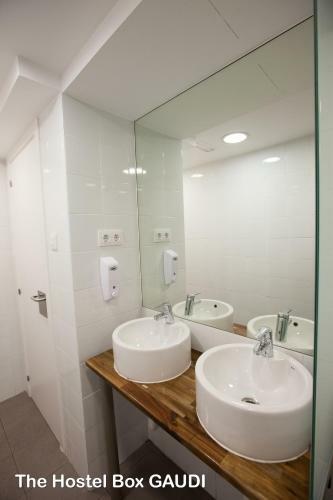 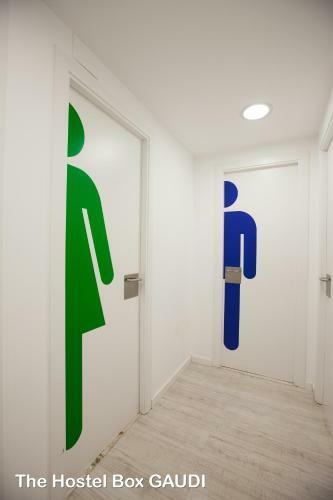 The communal bathrooms for males and females are located in front of the room. 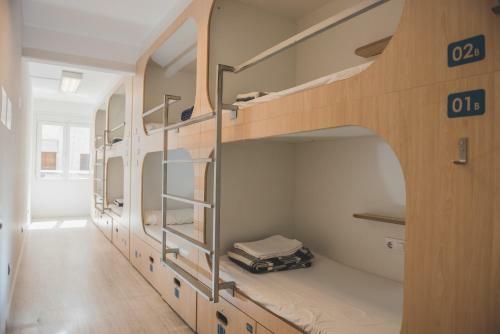 Rate: € 26.41 ... € 46.64; select dates below to get current rates. 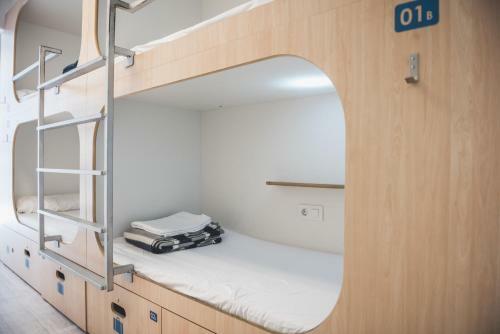 Rate: € 32.43 ... € 44.26; select dates below to get current rates.